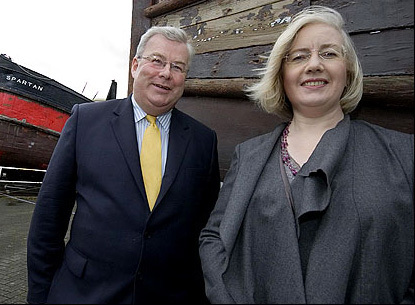 The Scottish Fair Trade Forum was found in Perth at the Fair Trade Scotland meeting and was launched by International Development Minister Patricia Ferguson in 2007. The forum aims to ensure employees across the developing world receive fairer prices and straight working conditions for the products purchase in Scotland. The government's commitment to fair trade forms a key part of the Scottish Executive's wider policy on international development and it seek to make Scotland one of the world's 1st Fair Trade Nations. Fair trade is area which all Scottish consumers, including the executive, can take sensible steps to help improve poverty overseas. Representatives from fair trade shops, towns, charities and campaigner are among those involved in the newly launched meeting. In 1994 there were just three fair trade products on the market. Now there are more than 2,000 - include coffee and chocolate - on sale in Scottish shops and supermarket. The Forum holds meetings bi-monthly in various locations around Scotland and these are a chance for the public to give feedback on Fair trade doings across the country, helping shape the ongoing Fair Trade Nation campaign. The SFTF also produce a newsletter regularly feature in rank on Fair Trade activity in Schools, Universities and Colleges.